Hand/Eye coordination, highly-active games, to energetic collaborative games, to colorful patterns, to educational preschool scenarios, We Play has something for everyone! 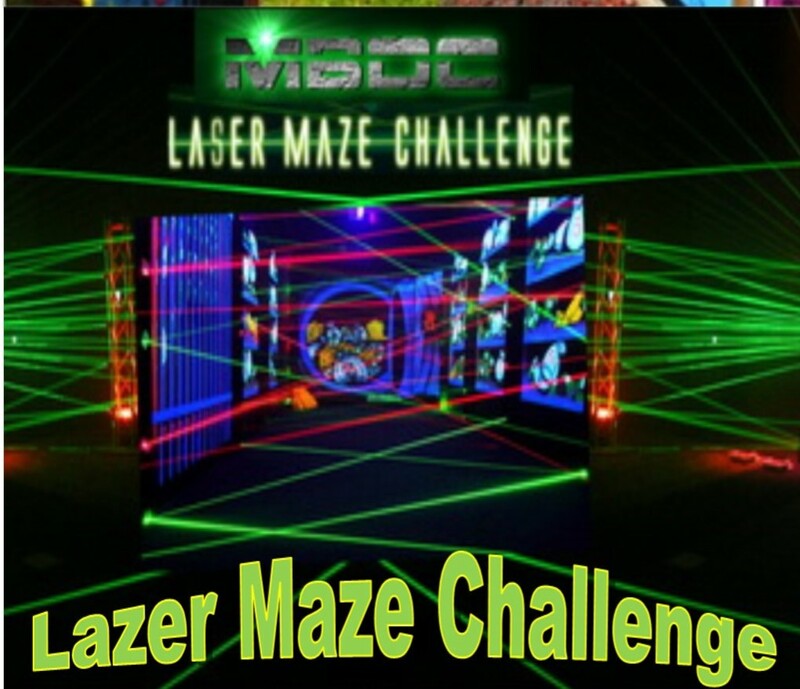 Laser Light Show, Magic Show, Petting Zoo, Basketball Show, Hollywood Game Show, Brain Show, Color War (Olympic Games) Black Tie Gala, Masquerade Ball, Carnival & many more! 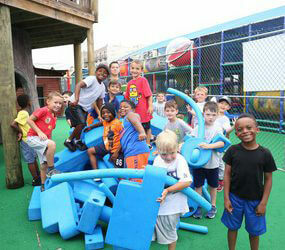 An innovative playground equipment system that transforms into a play space that encourages learning, social development, movement, and above all..... FUN. 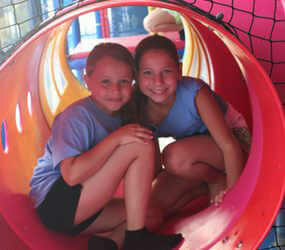 Campers can try their agility and skill in our 60 foot, 2 story climbing Jungle Gym. Twists, turns and slides galore! 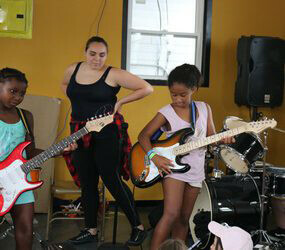 Campers will actually play in a rock band. Drums, Guitars, keyboards and bongos! Can stardom be far behind? 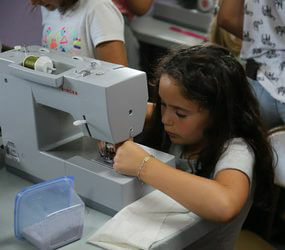 From Sketch to Design to Production, girl campers can create and make items like skirts, bags and even sneakers! 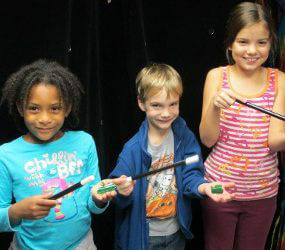 The only things that won’t disappear is the fun the kids will have learning Magic Tricks! A new and exciting Mill Basin Day Camp activity. Move over Willy Wonka! 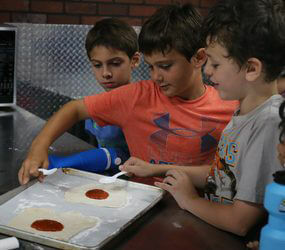 MBDC campers make and design their own candy creations! 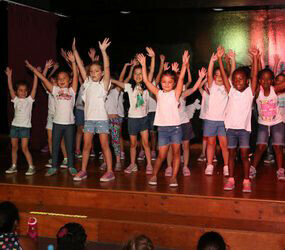 Performances and Talents Shows for the groups to put on for each other. Nothing like being cheered on by your friends and group. 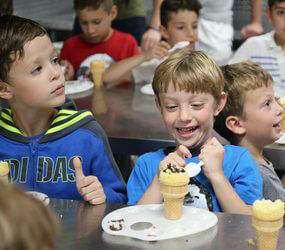 A Mill Basin Day Camp favorite! 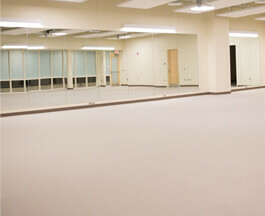 Indoor, air-conditioned and carpeted rooms for general camp activities. Bad weather is NEVER a problem at Mill Basin Day Camp. Lego is all the rage! 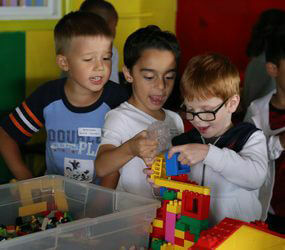 Our Lego Lab at Mill Basin Day Camp is complete with floor to ceiling Legos for all ages to enjoy. Instruction and games as well in the LAB! 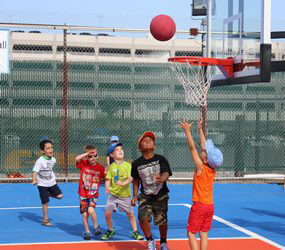 In our specially designed Ninetendo Wii room, campers will play in movement action games such as tennis, basketball, track and field and dance. No sitting around here! This is an action activity! 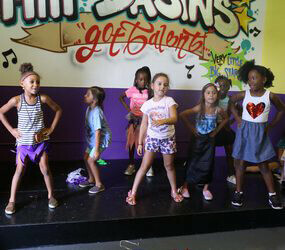 Taught by instructors from one of NYC leading performing arts studios, Take A Bow, this is one of the most beloved activities in camp. Break, hip hop, modern and jazz. Kids are dancing everywhere these days and they will here too! 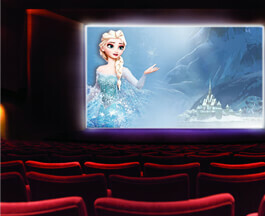 Includes a 100 inch 3D screen and popcorn and cotton candy machine! (don’t worry parents, they wont get all they want J.) Age appropriate movies and animated cartoons only. Calling all baking chef wannabees! Create and design cakes and pizza and all kinds of baked goodies! All supervised with camper friendly and safe equipment! A Yummy activity! 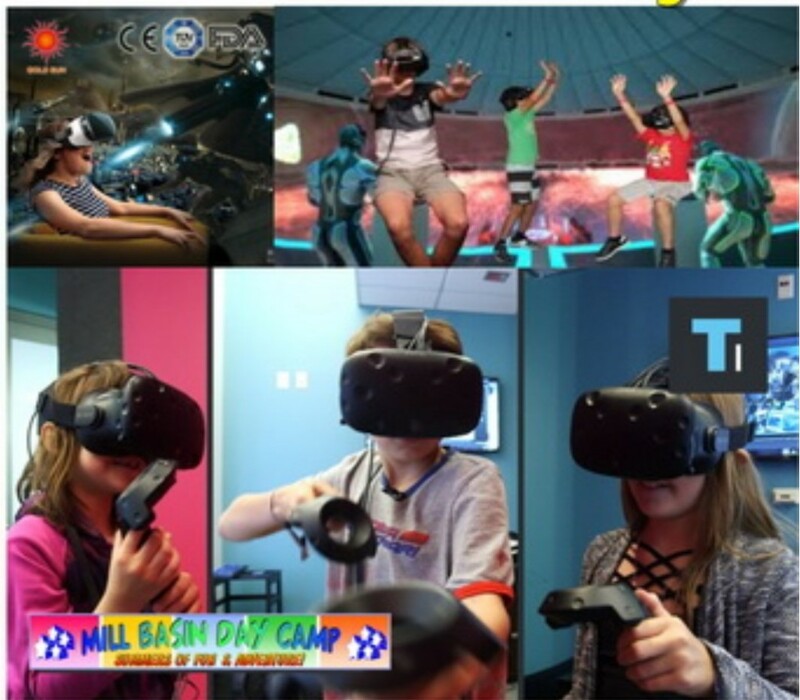 Americas hottest action game is at Mill Basin Day Camp! We have 4 arenas for all to participate! A real western town for campers to explore and imagine! There’s a train with a slide, shop, post office, jail and even a town hall! Yeeeee Hawwwwww! 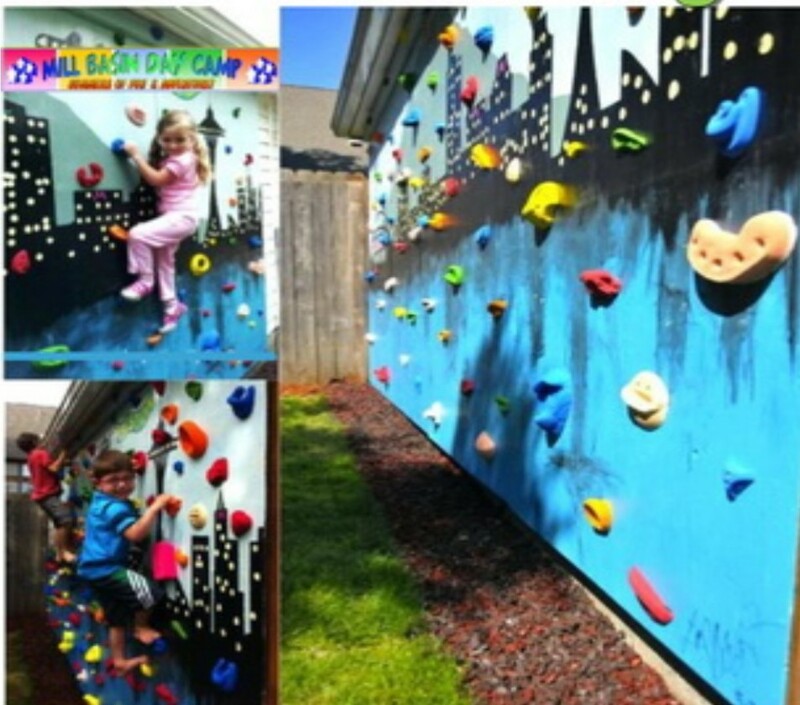 For campers in Pre K & K to climb and explore and simply be kids. 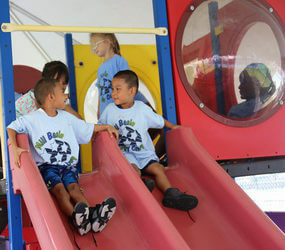 Always supervised and well padded and maintained for the safety of our campers and your kids. 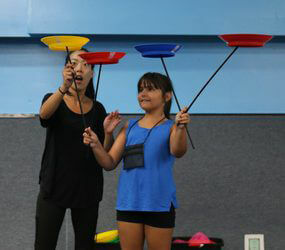 Juggling, unicycles, clowning and stilts are just some of the new "Circus” skills that Mill Basin Day Campers will learn. All taught in a safe and instructional environment. At MBDC & at Brooklyn Gymnastics Center in Brooklyn. Balance Beam, Ball Pit, Parallel Bars, Floor Exercise and more. 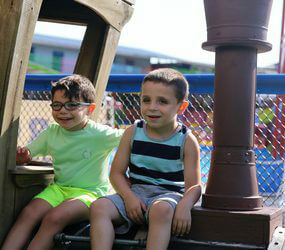 All supervised by highly trained staff in a Mill Basin Day Campers ONLY facility! We bring back old school! Pac Man, Asteroids, Galaga and more. Over 30 games including today’s best! Non Violent games of course and always free! 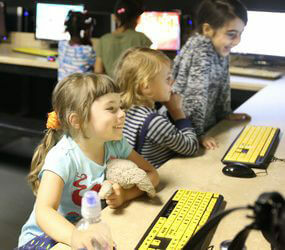 State of the art computer labs complete with gaming (non violent), creative programs as well as Video Game Design Programming. All ages! 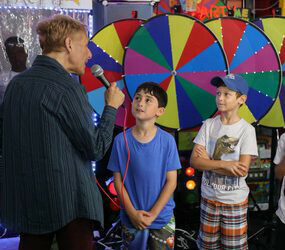 Kids Gameshow Network! 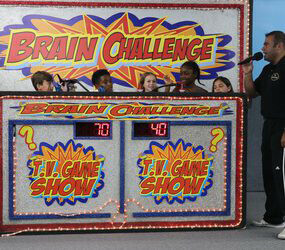 Campers will host and star and judge all the greatest game shows ever! AND they will be on TV! We broadcast to BCAT TV channel 13. Everyone wins! 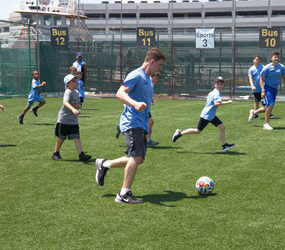 Kickball, Football, Wiffleball, Dodgeball, Volleyball, Track and Field and more! 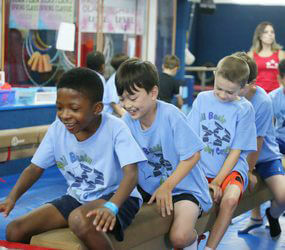 Campers will participate in non-competitive games and sports that promote team work and fun! Rubber padded turf field to ensure comfort and safety. 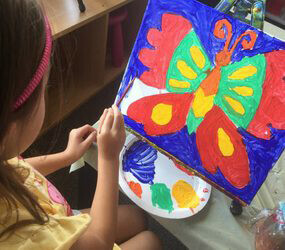 Creativity is the main focus in our colorful and inspiring Arts & Crafts program. 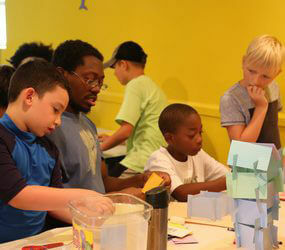 Wood, clay and 3D are just some of the projects campers will explore. Mill Basin's Got Talent Studio. 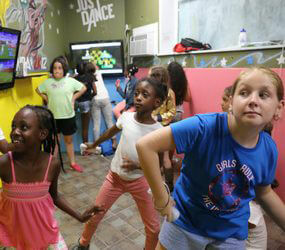 Campers are encouraged by directors and FRIENDS to get on stage and show off their skills. Recording sound, splicing video and editing music are just some of the amazing instruction campers will receive in the state of the art center. 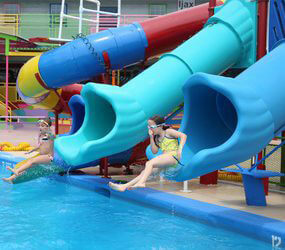 Brooklyn largest pool with 4 exciting pool slides. Varying in depths for beginner to advanced swim levels with Certified Red Cross Instruction with our 12 instructors/lifeguards. 6 basketball courts that are adjustable for all ages. Instruction, games…FUN! MBDC Paint party where campers can have fun their inner Rembrandt or Picasso or become an their own abstract legend! 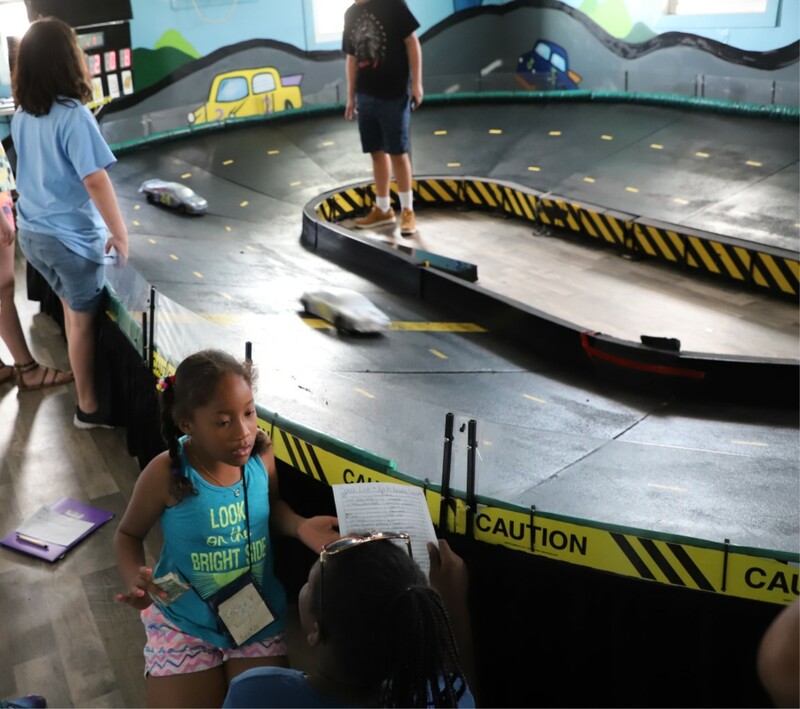 Race electronically-powered remote control cars on a Large Oval track. 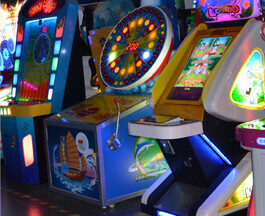 Fun For Boys and Girls! 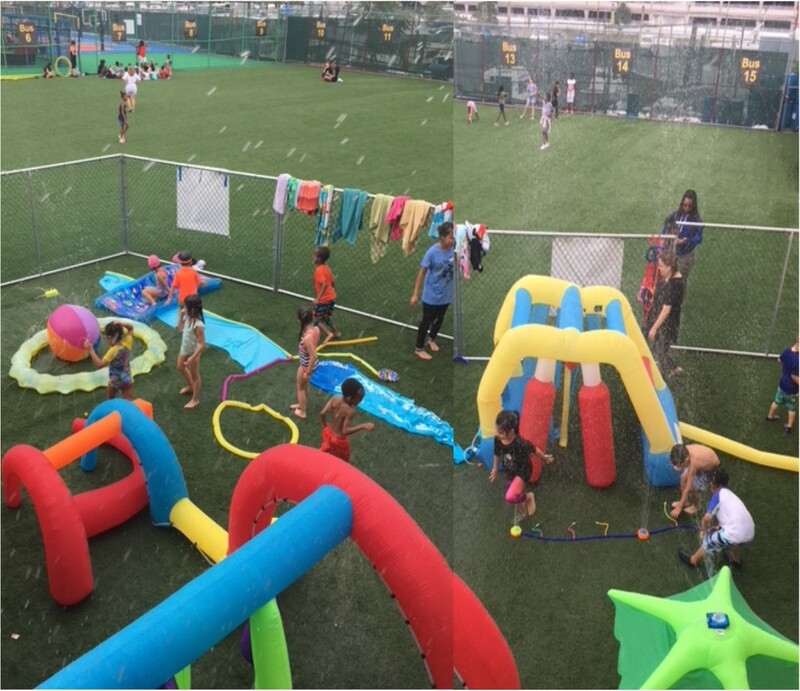 Splash fun for campers in Pre-K and Kindergarten. 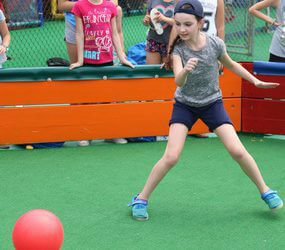 Campers get to zig and zag around the fun shapes and sprinklers and buckets. Fun in the Sun! Ninja: Using agility, quick thinking, and speed, players avoid a field of laser beams to engage mission objectives. 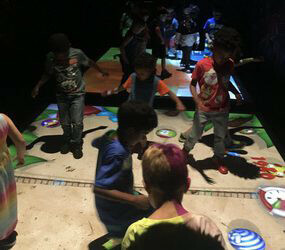 Those quick on their feet and up for a challenge: BUSTER: Letting loose and jumping around, players explore through a field of laser beams to break as many as possible under a time crunch. Energy-filled players will love the addicting fun of beams that pop back to life once they’ve all been broken. 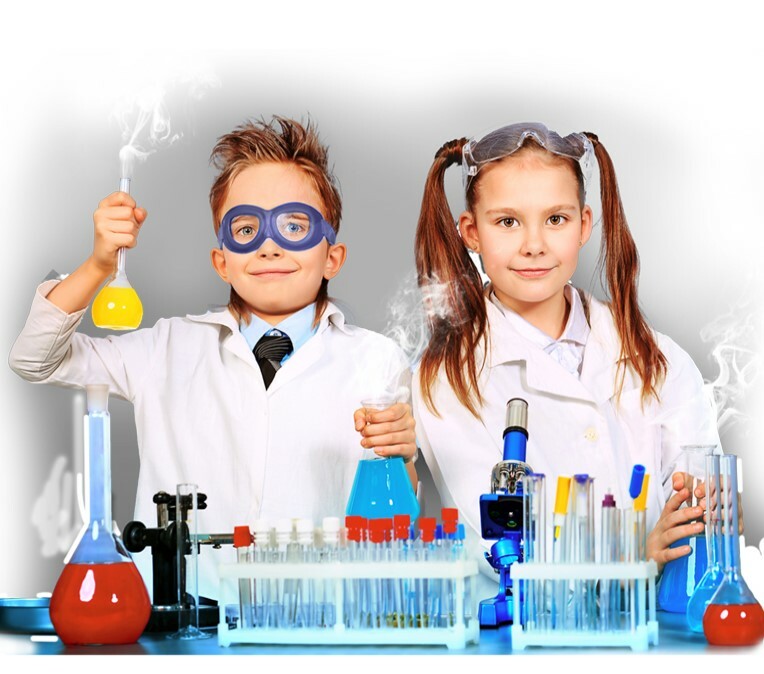 Fun experiments for your little ones that are sure to make them mad for science! Explore the properties of nature with rainbows, slime, foamy and more! Safe for all kids of course!